The long awaited Silhouette Studio 4 hasn't hit Beta testing yet...but it's coming soon. I can tell you that! Awhile back I asked Silhouette School Facebook followers what it is they'd most like to see in the upcoming version of Silhouette Studio 4.0...you guys have some awesome suggestions - and I did pass them on to Silhouette America! But I have to say there's even better news!!! Many of the features and tools you guys are hoping to be added to Silhouette Studio 4 already exist in Studio 2 and 3 so I thought I'd take a second and link you to those tutorials or further explain! 1. The Ability to Work While Silhouette Studio is Cutting - Definitely already possible! 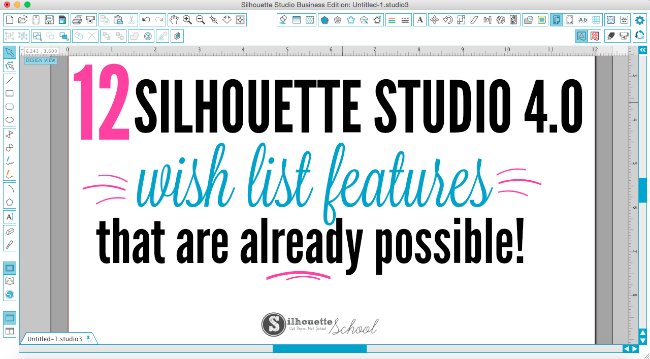 Not only can you design in various work areas in Silhouette Studio while the machine is cutting, you can work in different programs too...or check your email, or browse Facebook, or shop Amazon. Keep in mind, the age of your computer, the speed of your computer's processor, the number of program's running in the background, the amount of free space available on your computer, and the complexity of the cut in Silhouette Studio all impact how much you can do while cutting. 2. The Ability to Trace Multi-Layers into Different Parts in the Free Version - You can do that now, my friends - you just have to know how. This Silhouette tutorial on tracing multi color images will explain exactly how to achieve it. 3. Word Art - We can all agree..it's not straight forward, but it is possible in Silhouette Studio. In fact I have at least half a dozen tutorials on designing word art in Silhouette Studio. 4. Bigger Print and Cut Area - Need more room to print larger designs? 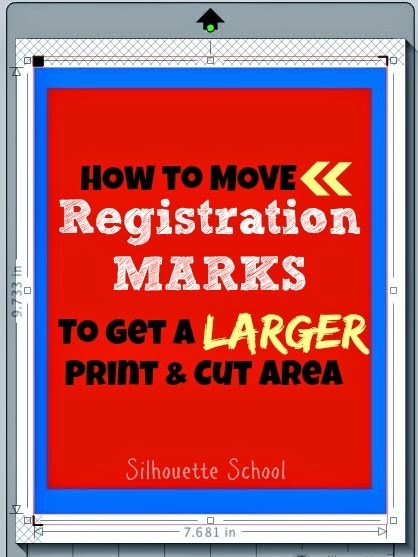 No problem...just move the registration marks, reduce the thickness and you'll add yourself a decent amount of space! This Silhouette tutorial will show you how to add more room for Silhouette print and cuts! 5. The Option to Make Notes in a Design - That can be done using the Properties feature in Silhouette Studio! Save the design to your library. Go into the library and right click the design. Click "Show Properties" and make notes in the Description box to remind yourself which fonts you used, font sizes, offset distance etc. 6. 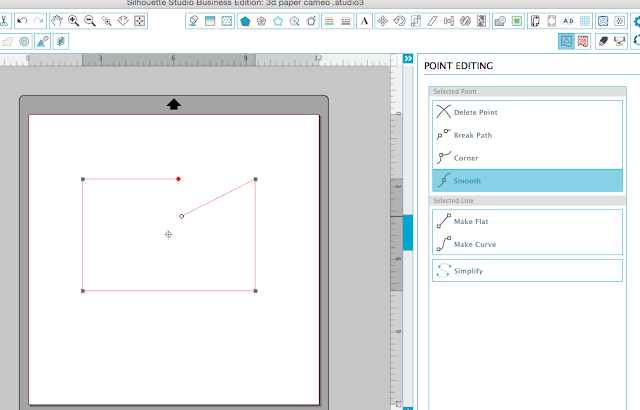 Ability to Break a Path - You can do that too using the Points Editing tool. Just double click the design until you get the edit points, click where you'd like to break the path and then click "Break Path" from the window on the right. 7. 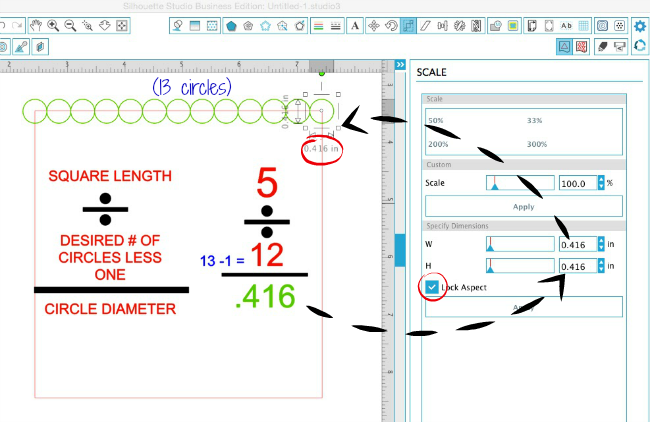 Ability to Type in the Size of an Object Rather than Drag to Desired Size - The Scale tool let's you do just that! You can type in the exact proportions of a design and keep the aspect ratio locked or not. Don't be scared by this picture...if I can do this math to make a scalloped edge design using the Scale tool, believe me you can too! 9. No Mandatory Use of Cloud - You don't HAVE to use the Cloud...but there are some trade-offs. You can use an older or pre-Cloud version of Silhouette Studio, but you won't be able to access the Design Store from within the software on those versions of Studio. The most recent non-cloud legacy version of the software that is available for download from the Silhouette America website is V3.3.279. 10. Easily Importing Images and Files from Computer - It's easy! 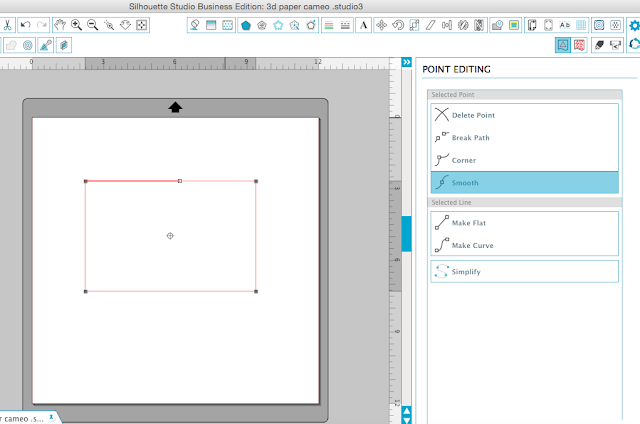 Drag and drop your design from the desktop directly into your Silhouette Studio library or the Studio work space. 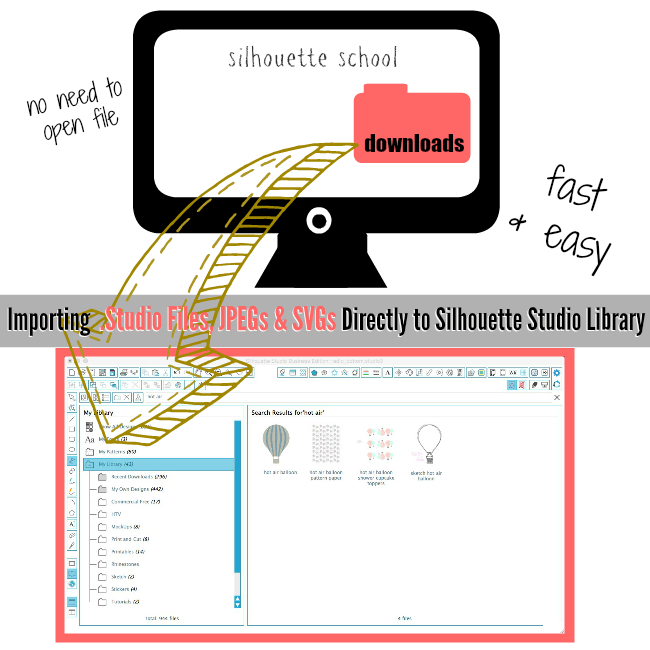 You can even bulk import images or designs in Silhouette Studio. The other option is to open Studio and click File > open and navigate to the image, file or shape you want to open in Studio. 11. Center of All Objects Tool - Make sure the Center of Rotation is turned on. Then select the entire group of designs that you want to find the center of..the bulls eye looking shape marks the center. 12. Auto Arrange for Best Fit on the Mat - That's called Nesting and it's a Silhouette Studio Designer Edition feature! 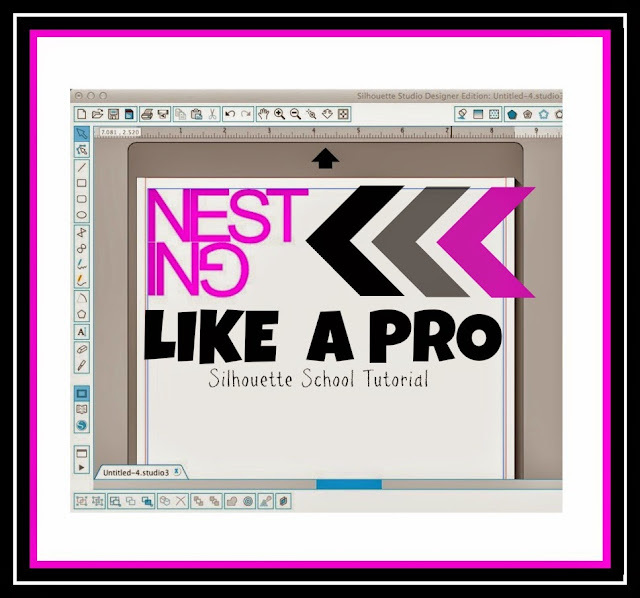 Check out this Silhouette Studio Nesting Tutorial for more details on how to use the nesting tool. 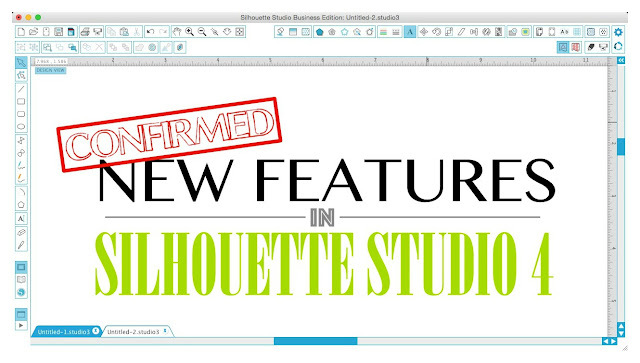 If you're interested in learning more about the confirmed updated features of Silhouette Studio 4.0, check this out!